We’ve called varsity halftime, and after almost two weeks of fantastic sport it’s still all to play for as we look to the remaining games ahead. After two Super Wednesday’s, Ice Hockey, Thai Boxing, Men’s Cricket, Squash, Rugby (RL, MRU, WRU) the varsity score stands at NTU 3 UON 7 . The series began with the first of two Super Wednesdays. Swimming, Handball, Badminton, Table Tennis, Fencing, Karate, Canoe Polo, Volleyball and Water Polo were all included. Athletics also took place the following Saturday as part of the event. Taking place at the UON David Ross Sport Village, the day showcased an exceptional level of hard work from all competitors. 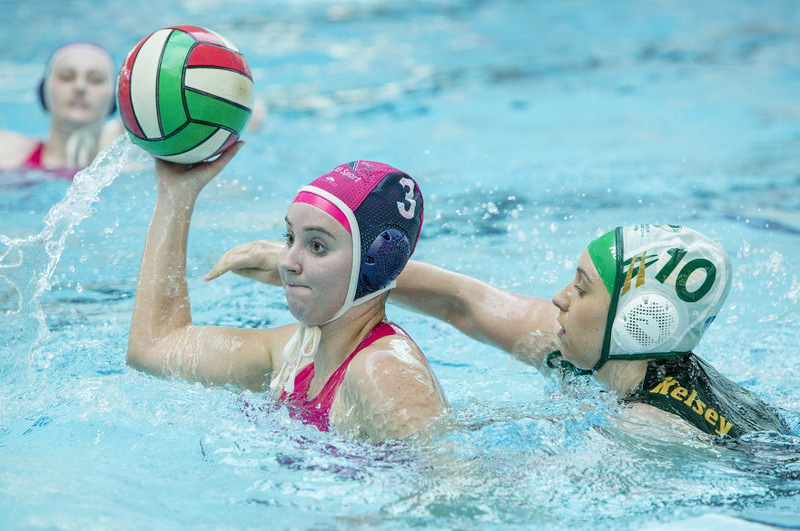 For the first time in a varsity series Women’s Water Polo was included in the games. NTU broke even to take a draw in Karate, but UON took the day with a string of victories to earn their first point of the series. 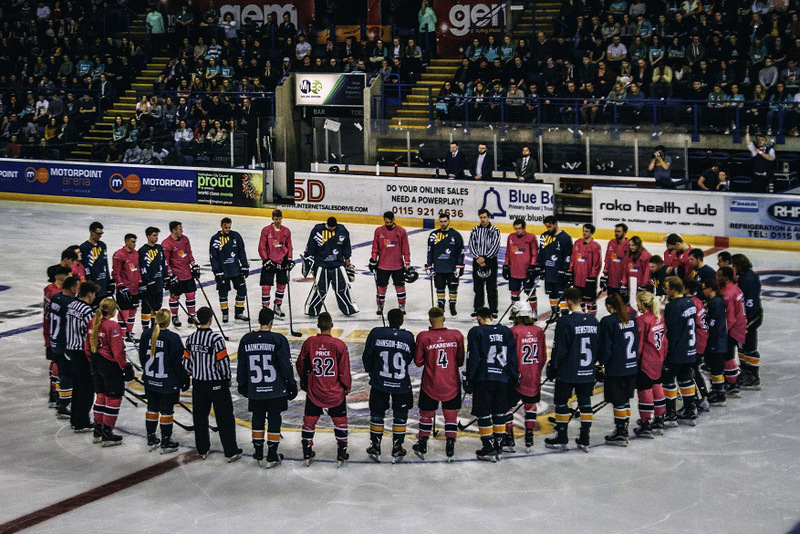 Two days later students flocked to the Motorpoint Arena to enjoy one of the most-looked-forward-to events of the series, the varsity Ice Hockey. UON started strong with a 3-0 lead, but by the beginning of the third period NTU had put on a tough comeback performance to make the score 3-2. But UON wasn’t to be caught when they made another goal towards the end of the game, and took the victory with a final score of 4-2. Next up was Thai Boxing, which in another varsity-first ran as its own fixture. The sell-out event saw NTU take a fierce victory with a final score of 7-1. 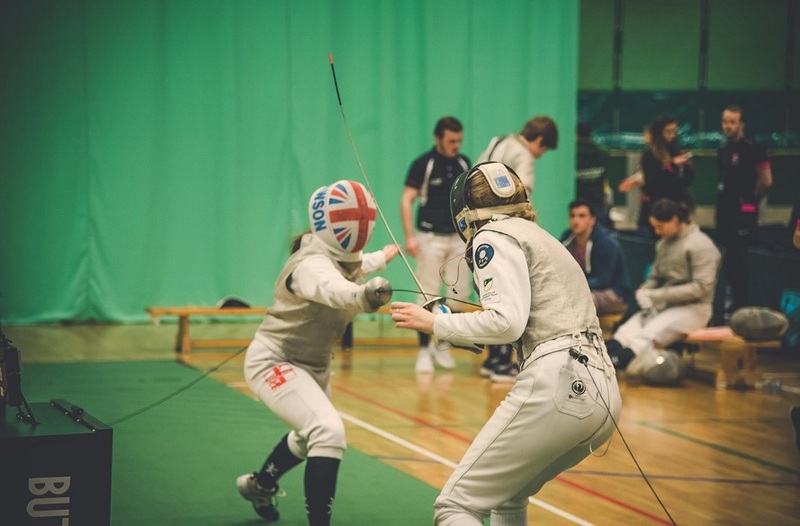 Tennis, Trampolining, Archery, Dodgeball, Wheelchair Basketball, Ultimate Frisbee, and Horseball featured as NTU and UON battled it out for an overall win. Women’s Cricket was also planned into the day, but due to the poor weather was unfortunately cancelled. 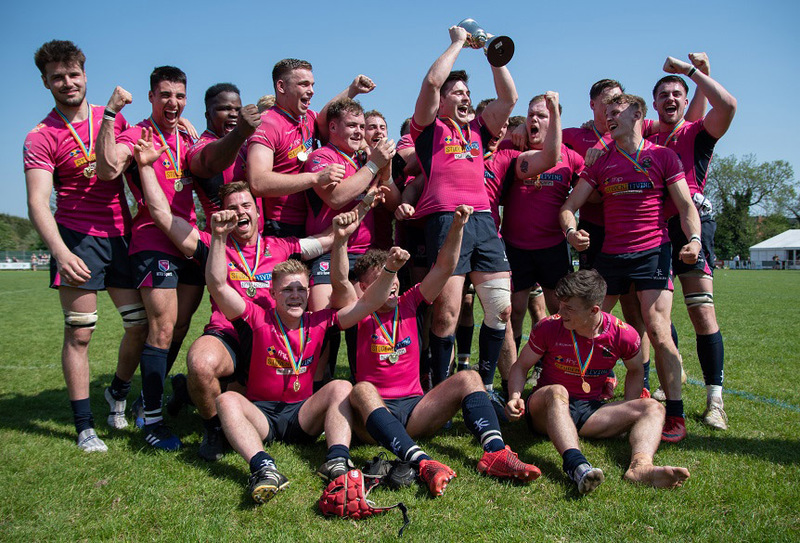 Despite some fantastic performances from our NTU athletes which made for some close and exciting matches, UON took the day to take another varsity point. Despite the heavy rainfall in the morning, Men’s Cricket was still able to go ahead the next day thanks to the efforts of Clifton Cricket Club. Last series NTU won by 100 runs, but were unable to defend their title this year. UON had the edge on the day to take another varsity point. Next supporters headed to the David Ross Sport Village to watch the varsity squash. Despite some very strong play from NTU athletes, UON held their lead to take another varsity point. An incredibly warm bank holiday Monday set the stage for the next fixture and one of the most popular, Rugby. In total three varsity points were up for grabs with three matches running at the Lady Bay grounds. Players from both sides were welcomed to the pitch by a huge crowd, and enjoyed some tremendous support across all three games. 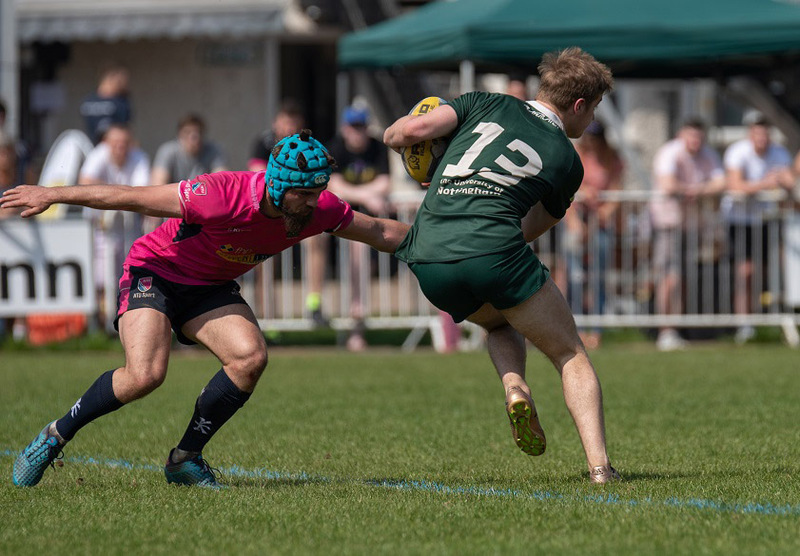 Kicking off, Rugby League made the first scores on the board but UON weren’t to be caught when they steamed further ahead in the second half, taking the victory with a final result of 30 – 6. 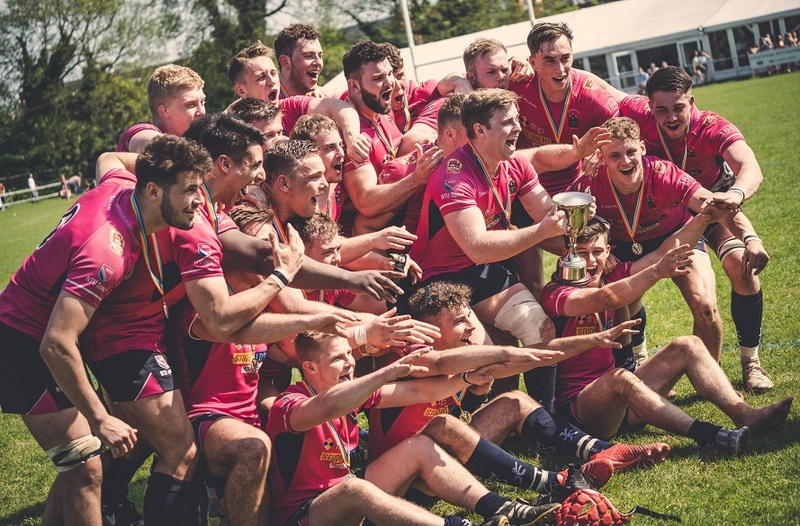 Next it was the turn on Men’s Rugby Union, who were looking to defend their consecutive six year varsity title.The team played exceptionally well to take the win and claim a varsity point for NTU, with a final score of 55 – 26. Women’s Rugby Union closed the day with a tough match, which saw the team struggle to make a try against their opponent in the first half. UON took the win with a final score of 51 – 14. As of today the overall varsity score stands at NTU 3 UON 7, but it’s still all to play for with some of NTU’s strongest games ahead. Still to come: Golf, Lacrosse, American Football, Hockey, Basketball, Netball, and Futsal. See full fixtures here. 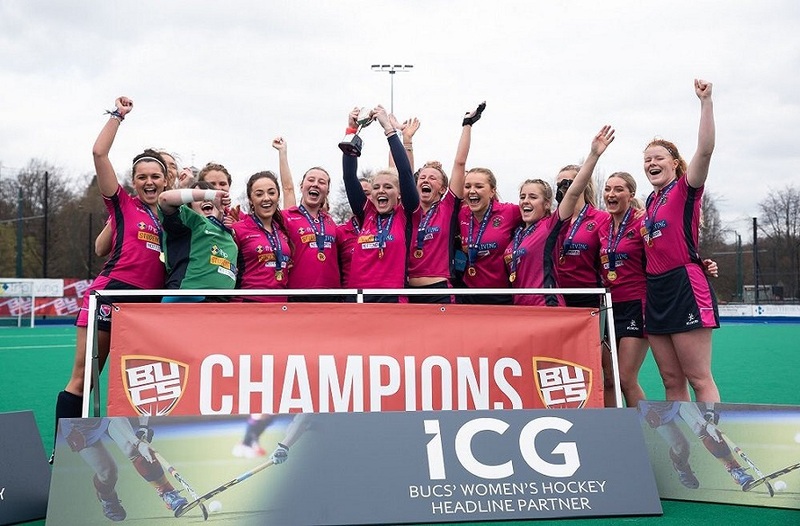 Best of luck to all NTU Sport athletes and well done to all of those who have played in the series. 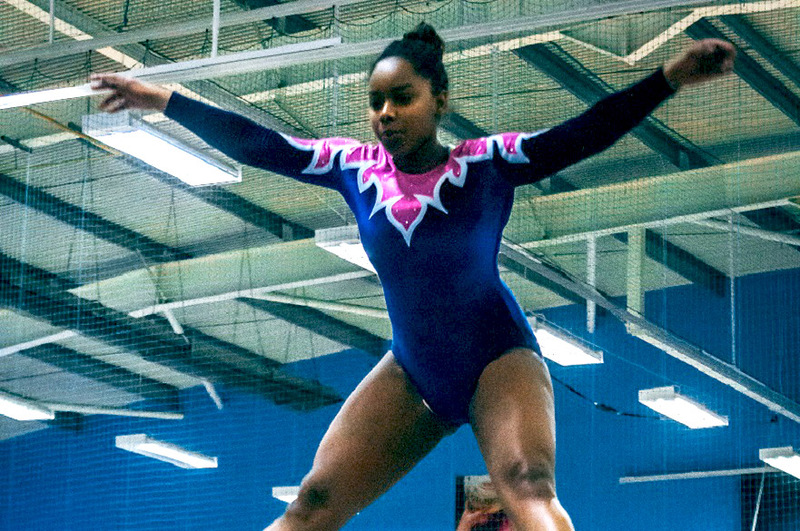 Keep up with results and fixtures by following @NTUSport on Twitter and Instagram. Related: Varsity ones to watch & 10 ways to go varsity pink.